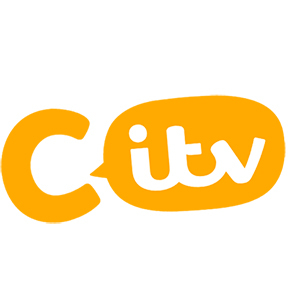 C ITV is a children targeted TV channel. It’s programming includes a great variety of amusing series and cartoons, targeted to a mainly children audiences, from the youngest to teenagers, with ages between 4 and 15. Scrambled! (Childrens Progamme), ThunderBirds Are Go(Kids, Science Fiction, Action, Adventure, Animated), Fun House(Kids, Game Show), Horrid Henry(Kids, Comedy, Adventure, Action, Animated), Art Attack(Childrens programme, Arts & Crafts), Mr.Bean(Comedy, Animated), How 2(Formative, Children`s Programme), Bernard’s Watch(Children`s drama), Pocoyó(Preschool education, Comedy, Animated), The Voice Kids(Talent Show, Children´s), Pokémon(Action, Adventure, Fantasy, Animated), Ninjago(Ninja, Adventure, Animated), Dino Dan Treks(Family, Educational).